Prominent & Leading Manufacturer from Mumbai, we offer baking ovens, deck ovens, double deck ovens and three deck oven. 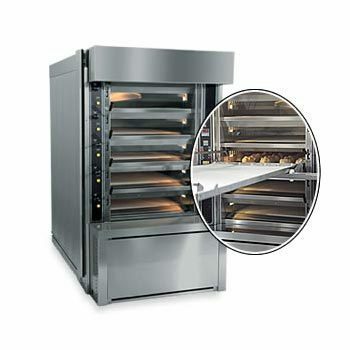 Being a customer focused organization; we are engaged in manufacturing, supplying and distributing Baking Ovens. 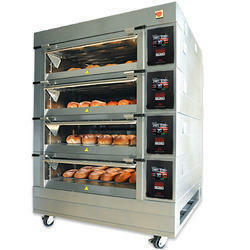 It is a thermally insulated chamber used for the heating, baking or drying food items. Meat, casseroles and baked goods such as bread, cake and other desserts are prepared in these ovens. We are successfully ranked amongst the trustworthy entities offering a wide range of Double Deck Oven. This stylish and fashionable oven is manufactured using quality stainless steel metal alloy and advanced technology. Our professionals manufacture all kinds of oven according to the trending demands and clients’ needs. 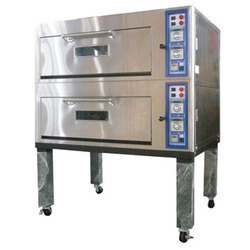 In addition, the offered oven is built and developed adhering to industry standards. Furthermore, our professionals opt for strict quality inspection made on the oven to ensure flawless performance. 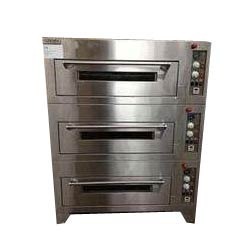 Owing to our expertise, we are manufacturing and supplying a wide gamut of Three Deck Oven. This Three Deck Oven specifically designed by our skilled professionals following high definition engineering principles. Apart from this, oven is fabricated using superior quality raw material and advanced technology. Flaws are eliminated under the strict surveillance of our quality controllers using advanced testing tools and devices.